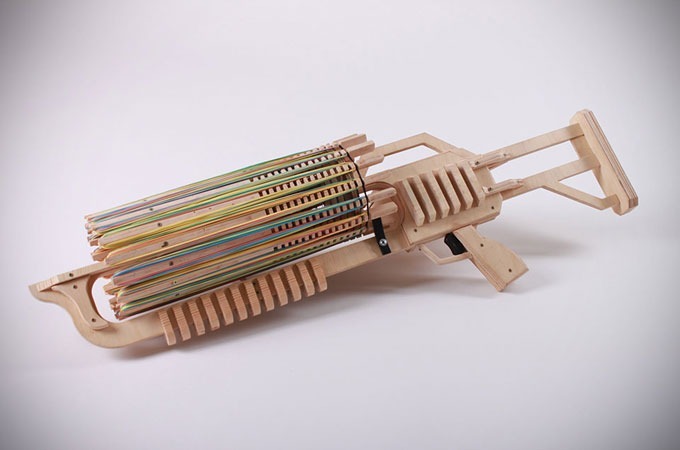 Everyone loves flicking elastic bands at their pals, but anyone who goes up against the Rubber Band Machine Gun will meet their match. 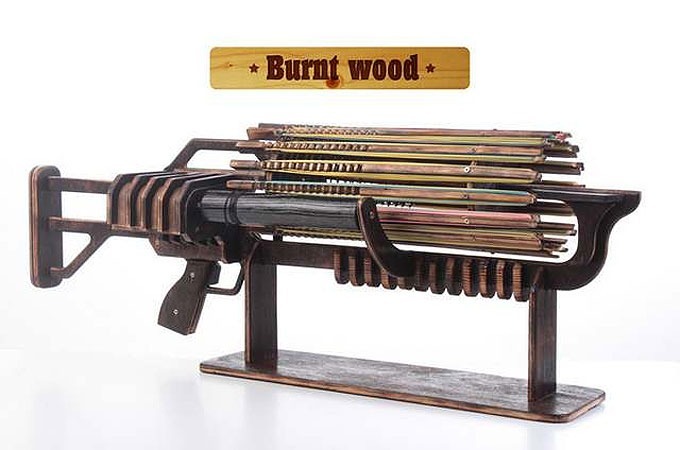 Ukrainian Alex Shpetniy has created a rubber band firer that works like a Gatling gun and can fire up to 14 bands per second with a 672 shot capacity. The body is made from the birch plywood and cut out on the CNC machine. 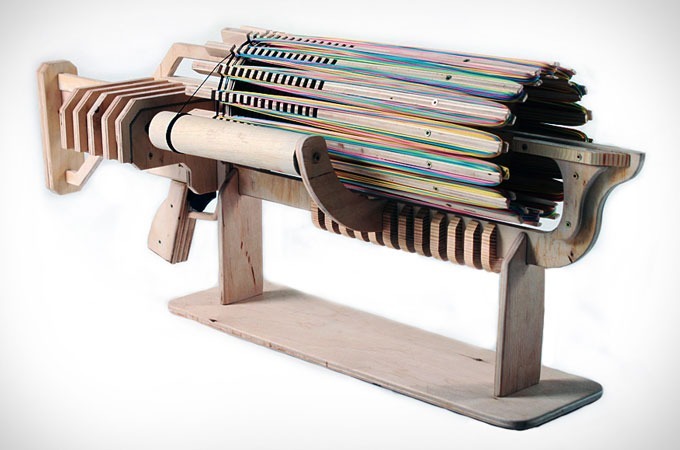 Its ammo consists of 672 shots of rubber bands.